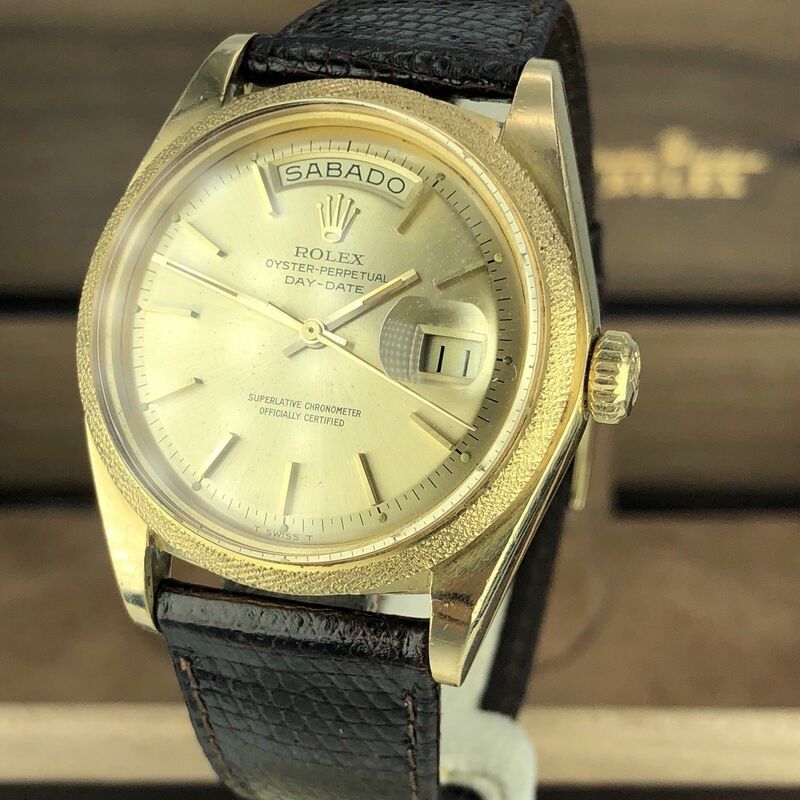 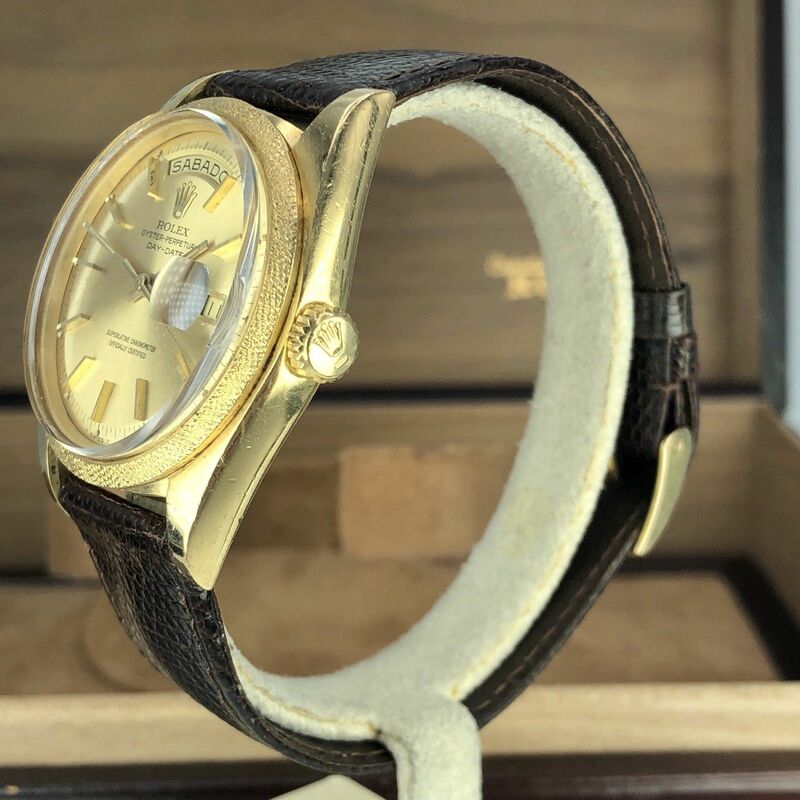 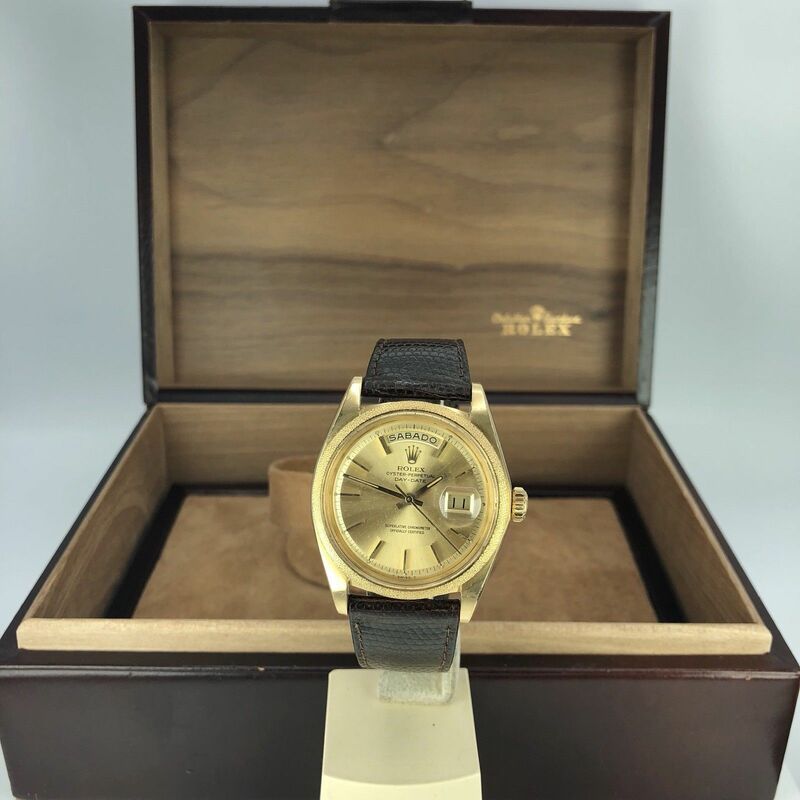 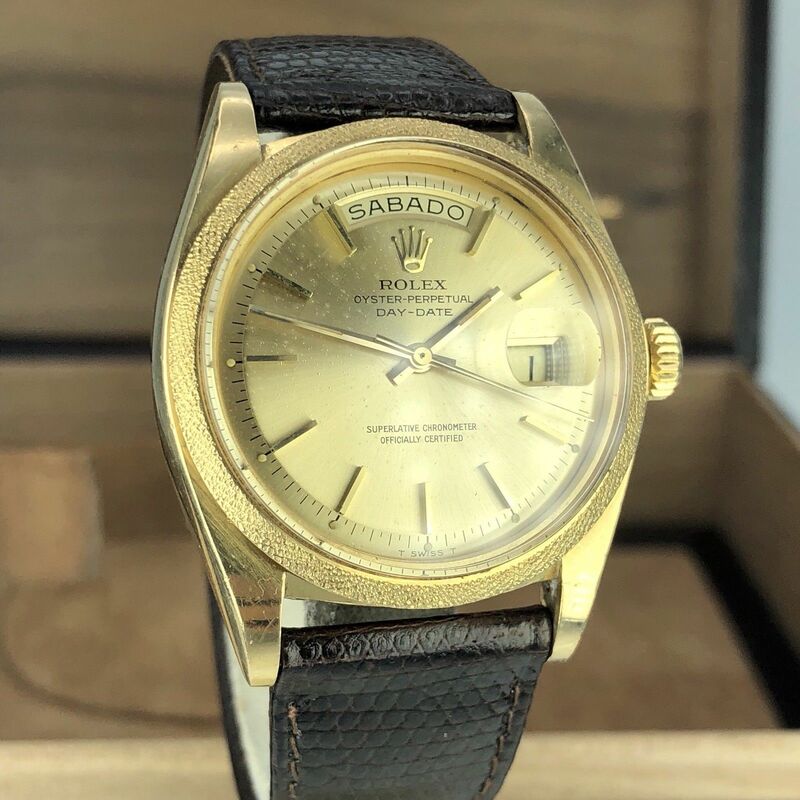 Vintage Rare Rolex Day Date 1811 Solid 18k Yellow Gold from 1974 (3xxxxxx-serial). 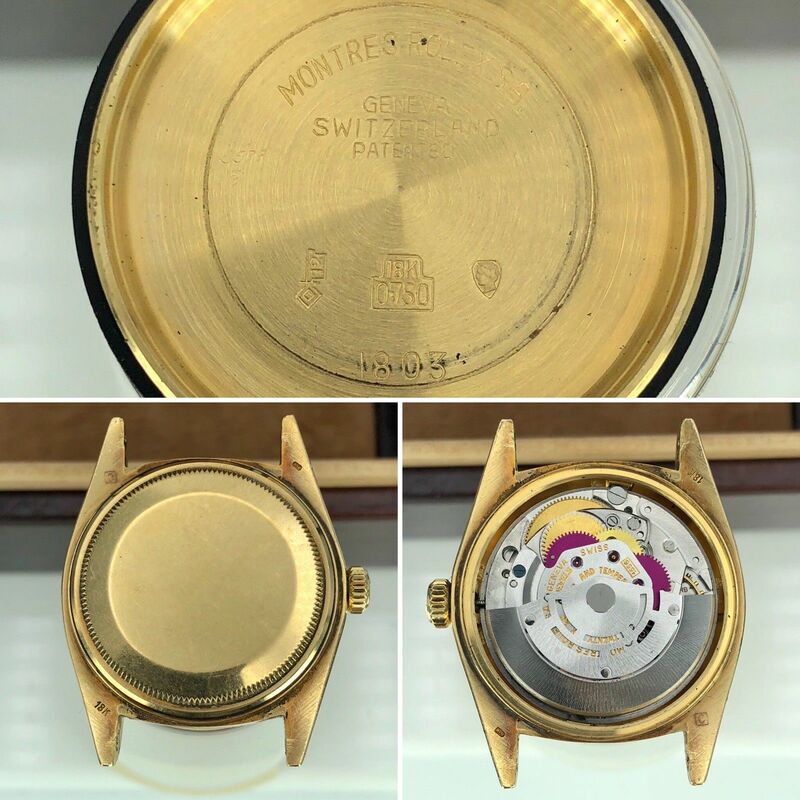 Case and band: Unpolished case very nice condition. 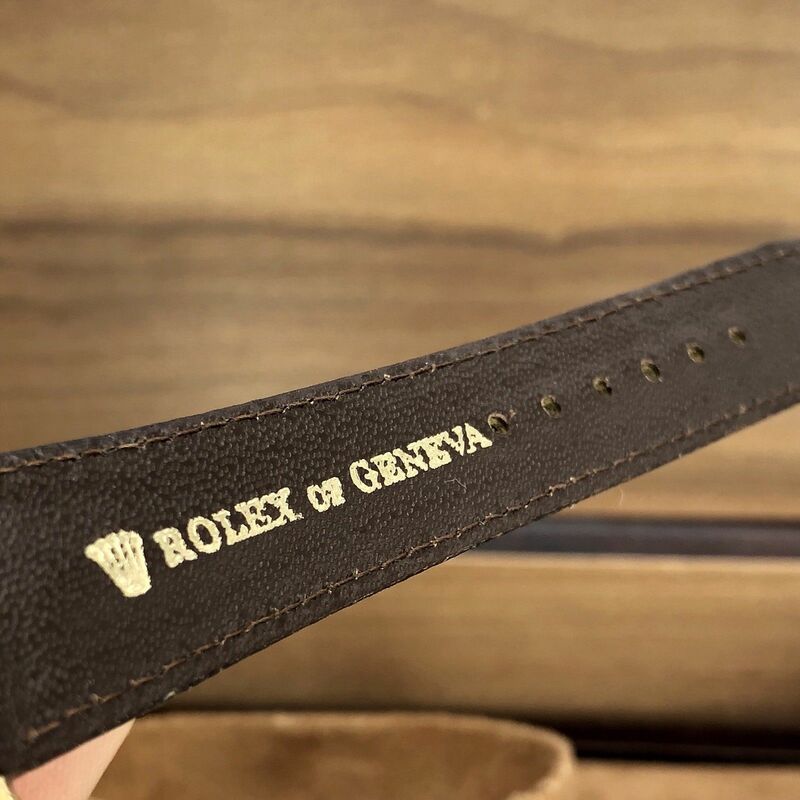 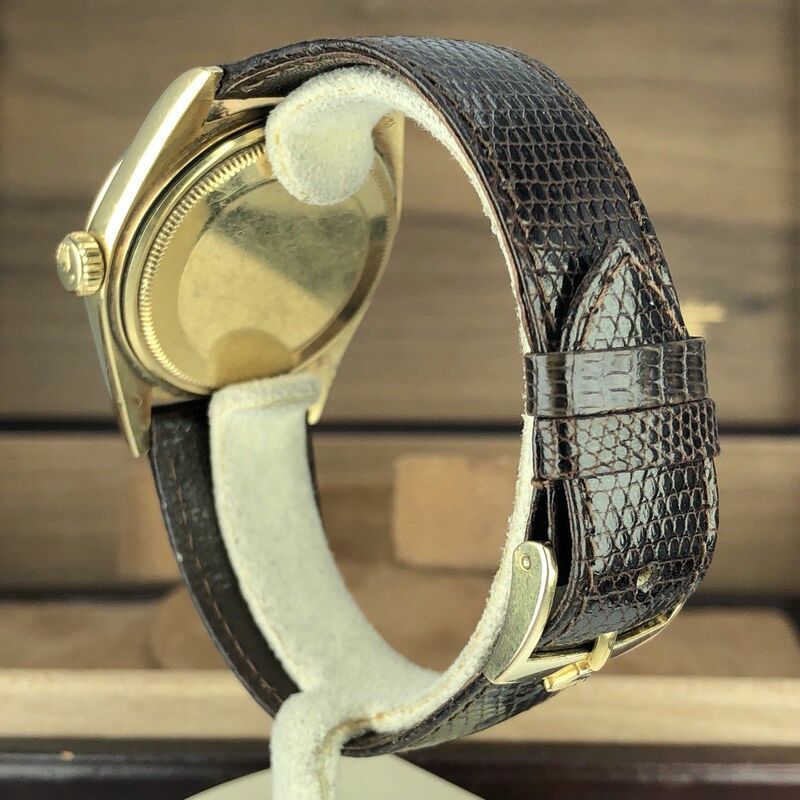 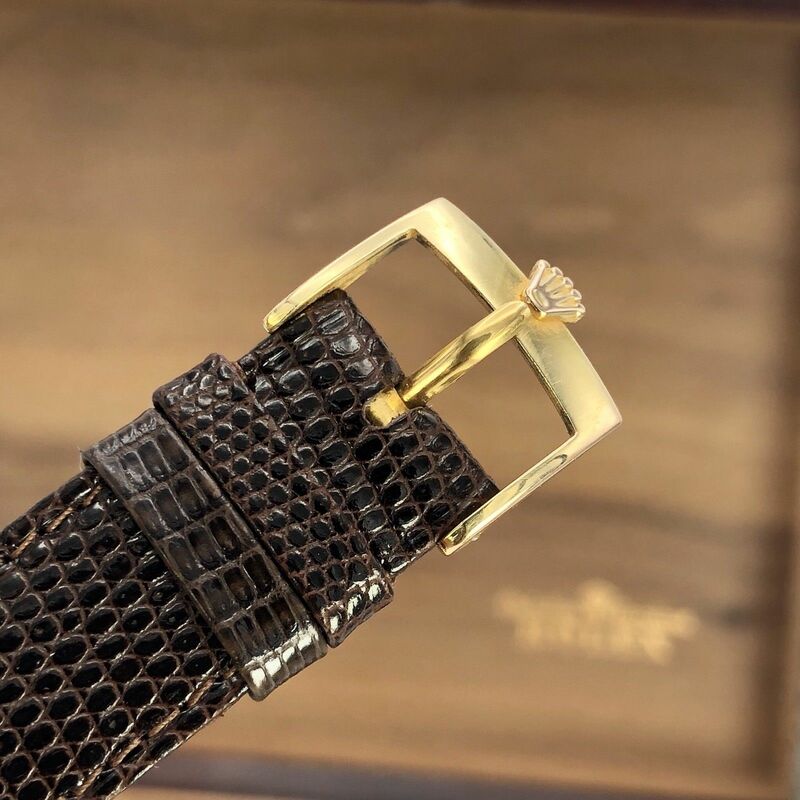 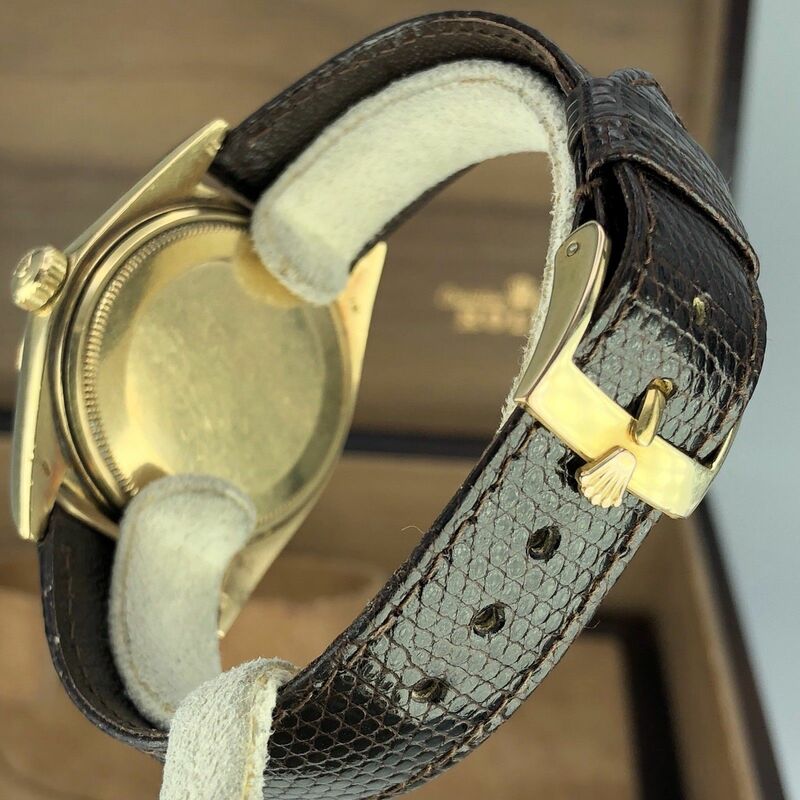 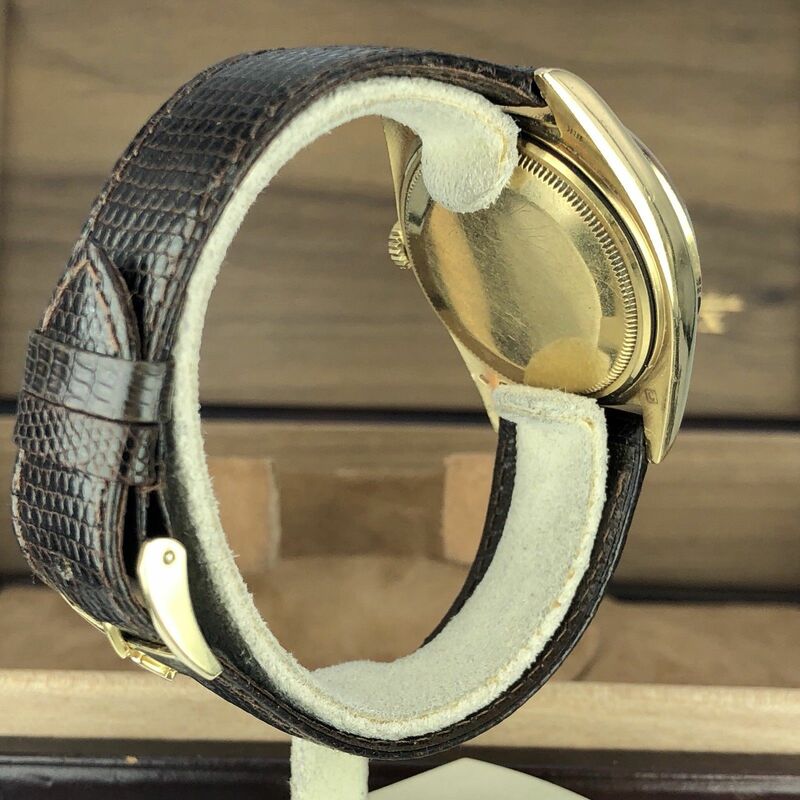 New rolex factory leather band with original rolex buckle. 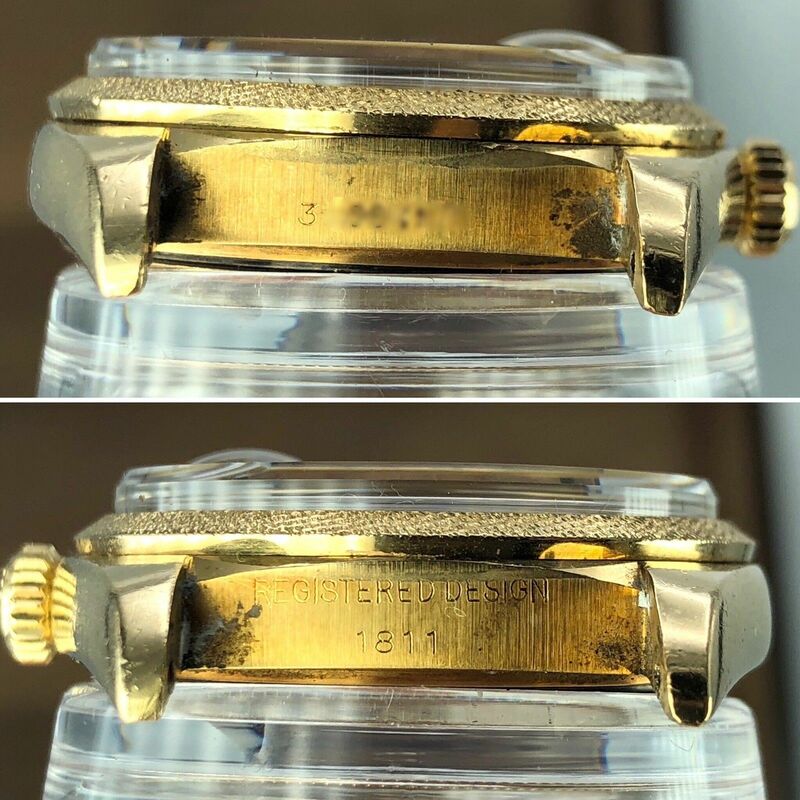 Dial and hands: Champion factory dial has some aged on it, factory hands.